A fantastic storage solution for your home, the stylish set of 4 dice design trunks are ideal for keeping your treasured items safe and your home organised and tidy. 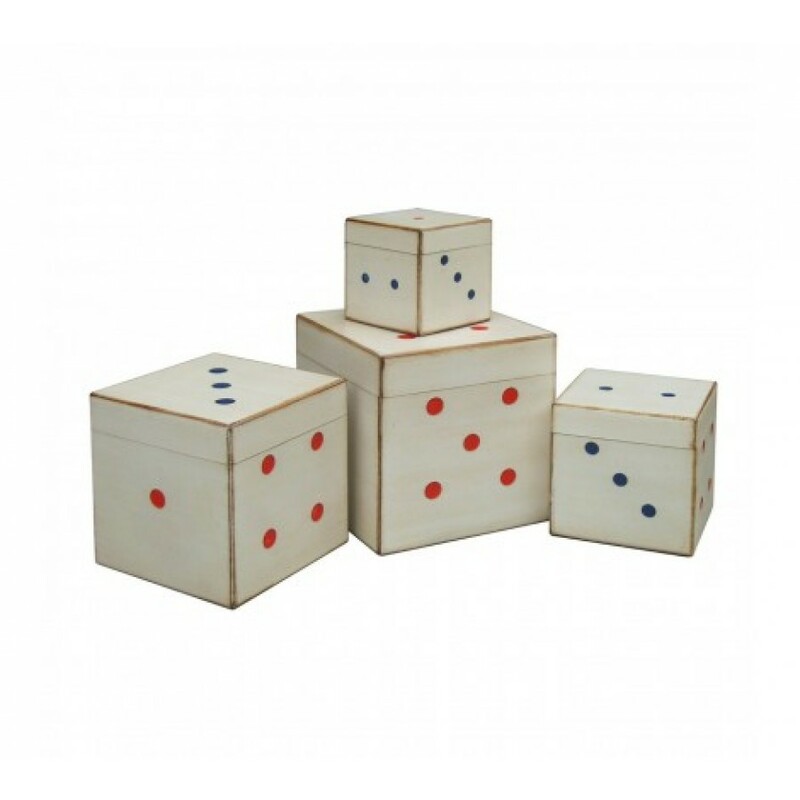 The durable white MDF trunks, small, medium, large and extra large have dot detail like that of a dice in red and blue for a classical look that will remind you of yesteryear. Each trunk has a lid that will protect the items you place in them while keeping the cube design. Keeping your items safe and easy to move, the trunks are ideal for storing books, magazines, clothes, ornaments and other cherished items, the dice design set of four storage trunks will keep your home clutter free while adding a retro look in your home.